Newport Beach, California, October 11, 2017	(Newswire.com) - ​​​Introducing the 1DayBottle, the first all-in-one compact solution that makes it easy for users to take their powder supplements multiple times a day. The 1DayBottle is a dispense shaker bottle that stores a day’s worth of powder for busy individuals to efficiently make and drink their nutrition supplements. 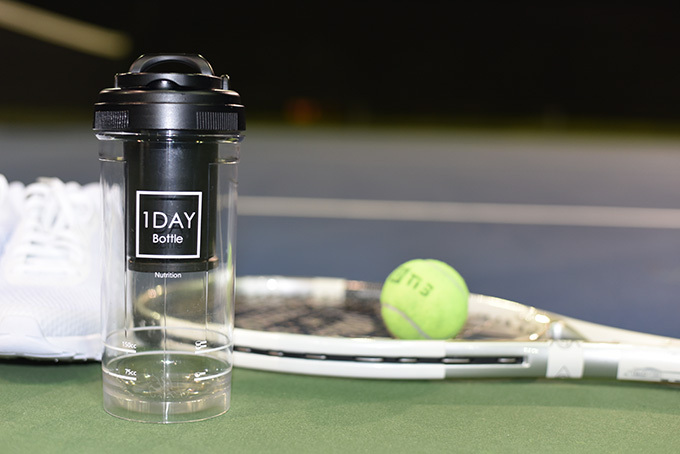 The 1DayBottle has a powder compartment that holds up to 150 cubic centimeters of powder, which is plenty for an average day’s worth. 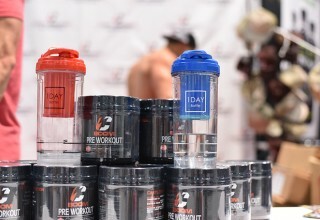 Users fill the dispenser compartment at the beginning of their day and can use the button at the top to drop the powder into the bottle throughout the day. Users then shake the bottle to create the optimal mixture, as the rounded bottom creates a vortex. The design of the bottle has incorporated keen features that enhance convenience. The powder compartment comes with a silicon seal that prevents water from penetrating the dispenser. The lid is equipped with a sturdy loop that allows it to be comfortably carried. Additionally, the bottle is marked with measurement indications and has been designed for effortless cleaning. The 1DayBottle is made of premium materials and is offered in four appealing colors: white, black, blue and red. 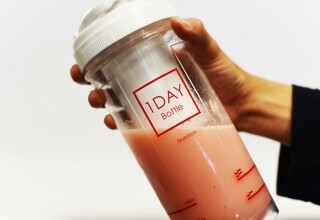 Pre-order of the 1DayBottle is now available through the product’s Kickstarter page (http://kck.st/2xBUviY), and it is a consumer-ready product with positive reviews. 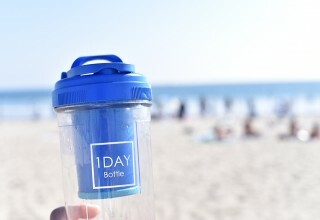 During the campaign, the 1DayBottle can be purchased for $25 as the Early Bird Special price. When the campaign funding goal is achieved, the company anticipates manufacturing and delivery to be complete in February of 2018. Long Tail Inc. is a California-based startup developing effective solutions for individuals to prioritize their daily nutrition habits. The products are designed and developed in Newport Beach, California and are manufactured in Seoul, Korea. Long Tail was founded by team of experts and engineers who are committed to promoting healthy and productive lifestyles. More information can be found at 1daybottle.com. Source: Altos Business Group on behalf of Long Tail Inc.
Altos Business Group is a management and business consulting firm based in Newport Beach, California and Seoul, South Korea. Godsumm strips combine medical and mechanical engineering techniques to naturally prevent snoring and teeth grinding, correct cervical posture and gradually over time reconstruct facial symmetry. This non-invasive treatment can help individuals avoid painful and costly surgeries. Armz is a smart robot that is equipped with different accessory parts that can be attached to the central core to create a multifunctional entertainment device and educational tool. Players can customize both the hardware and software to create a one-of-a-kind robot that can be used for racing and for learning the basics of block coding. Godsumm strips combine medical and mechanical engineering techniques to prevent snoring and teeth grinding, correct cervical posture and gradually over time reconstruct facial symmetry.